An internship specifically for students enrolled in a Drug and Alcohol Studies Program. Interns will provide direct support and counseling to clients in our Substance Use Disorder Treatment Programs. Student must be registered with a Substance Abuse certifying agency. Student must be willing to make a commitment of one academic year: fall and spring semester. Students who are on active parole may not be eligible for an internship. 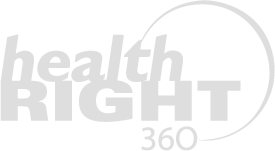 Student must submit a resume, letter of interest, two or more references and complete HeathRIGHT360’s online screening questions at healthright360.org. Student will need to take a computer literacy screening test and participate in a panel interview prior to selection. If student is selected, student will have to present TB clearance and First Aid and CPR certification before the internship starts. We are no longer accepting applications for the 2018-2019 academic year. Applications for the 2019-2020 academic year will be open in June 2019. For questions, please e-mail our Education and Training Coordinator.